It happens every year—your company rolls out the annual employee survey so that management can measure engagement levels across the organization. But with all the expense and effort to administer employee surveys, the average employee survey response rate is a meager 30%-40%, and without employee participation, the survey is worthless! Getting employees to take the time to complete the survey can be a challenge for any business and with the low response rates, data samples tend to be too thin for accurate analysis. When it comes to achieving high survey response rates, traditional tactics, such as sending daily reminders encouraging employees to have “their voice heard” are becoming far less effective. Employees are tired of the same approaches they have seen time-and-time again, and are pretty much desensitized to them; there is a lack of trust, and a lot of skepticism, towards the process. As mentioned earlier, too often nothing happens with a survey, or employees don’t believe anything positive will happen. One big reason for this is because the action plan usually lands on the manager’s desk and it falls to the bottom of their priority list. You can easily fix this problem by involving employees in the process. Concerns about anonymity are one of the biggest reasons for low response rates and inaccurate data. For example, if employees are worried that the responses won’t be anonymous, chances are they will report less strong opinions about their boss than they truly feel—or may not respond at all. Make it very clear that everyone’s answer is 100% anonymous and that managers will never see it. Explain the point of the survey and that you value their opinions and want them to be part of the process. If they complete the survey will it improve their work experience, impact the type of recognition they receive, or allow them to influence the direction of the company? If your employees know what they’re going to get out of it, they’ll be more likely provide honest feedback. 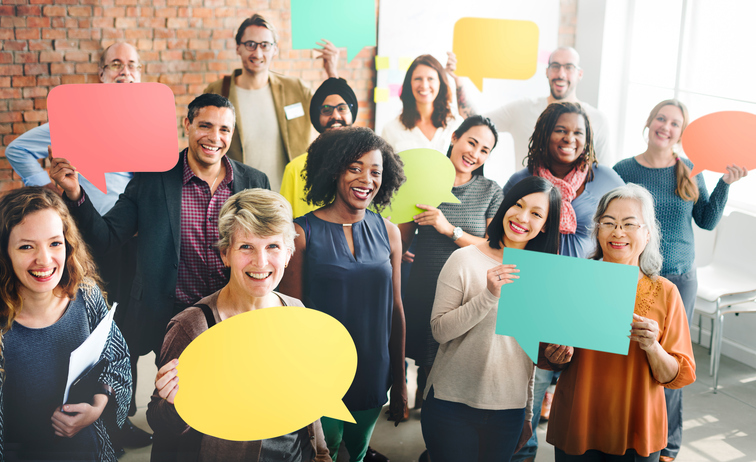 If your organization has participated in an employee engagement survey in the past, relay the positive outcomes that resulted from it to motivate employees to participate again. Studies have shown that employees are more sensitive than consumers to survey length, and that survey length is one of the main reasons for not responding. Make survey questions easy to understand and the survey easy to take. Give managers just enough data while trying not to disturb employees. Limit open-ended questions to two or three precisely worded questions that encourage honest, candid reflection on organizational strengths and areas of opportunity. While open-ended questions are excellent tools to use to capture employees’ true thoughts and feelings, a survey with too many open-ended questions will not be well received. If your employees took the time to respond to your survey, you need to show appreciation and thank them—and don’t wait too long! At the very least, thank them for participating and let them know that you are listening and will take their responses seriously. As humans, our tendency is to focus on the negatives (negativity bias). But it’s important to highlight the positive feedback that comes out of the survey. This will help employees take pride in their organization and pleased that they took the time to complete the survey. After you’ve decided on a few things to implement, articulate them and ask employees for further feedback. Remember, the whole point of doing the survey is to create a dialogue between you and your employees, so keep the dialogue going throughout the entire process. It goes without saying that your employees are your most important asset. So, it only makes sense to maximize your ability to hire and retain the best and brightest talent by routinely surveying your employees to get a read on their engagement, morale, ideas for improvement, and demonstrate that you care about them and their opinions.